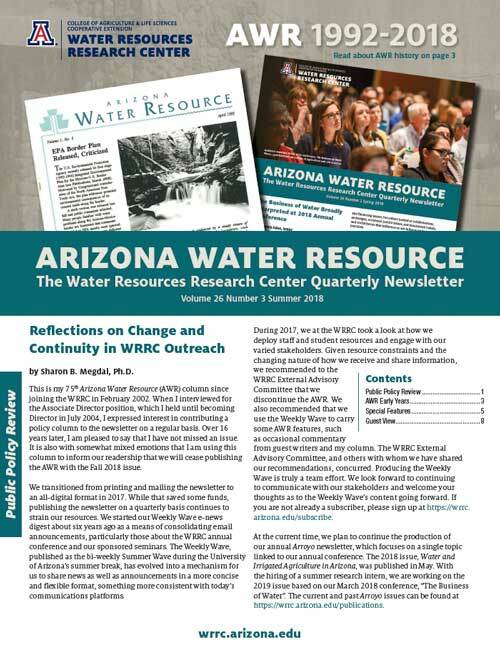 The University of Arizona Water Resources Research Center published a newsletter, Arizona Water Resource (AWR) from 1992 through 2018. 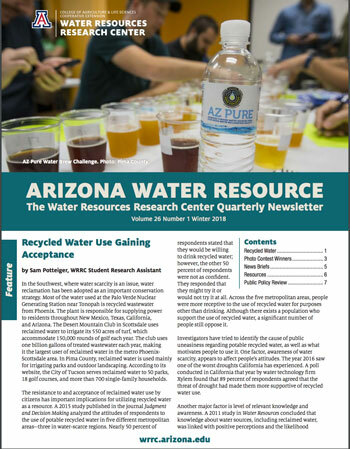 During that period 129 newsletters were published. 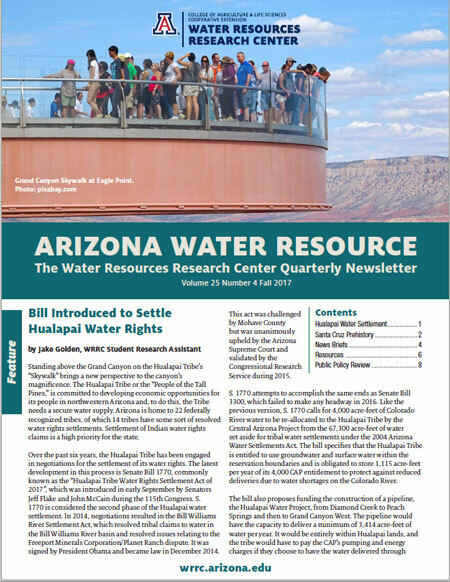 Initially it appeared once every two months and in 2009 it became a quarterly. 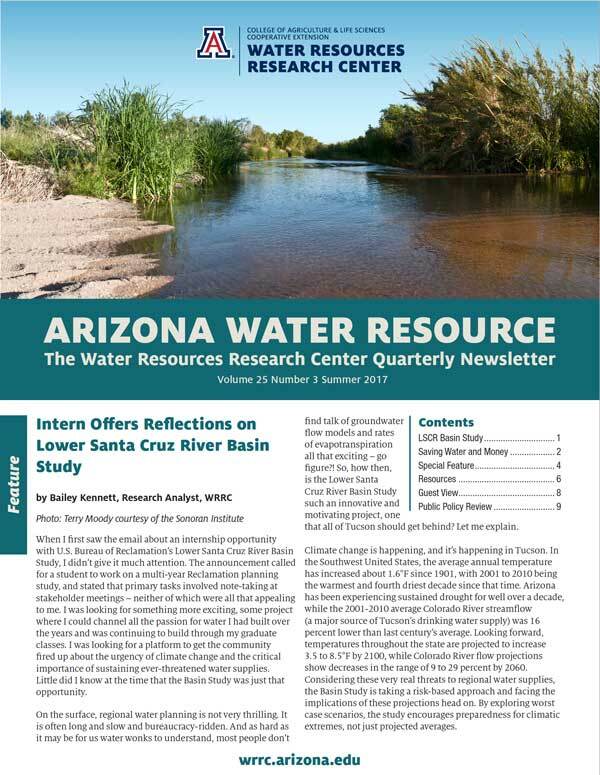 The AWR regularly contained feature stories and news briefs, information about publications and other resources, guest views, and, since 2002, a Public Policy Review column by WRRC Director, Sharon B. Megdal. 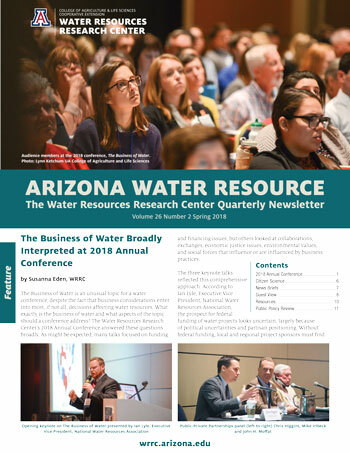 All 129 issues are posted and easily accessible from this page. 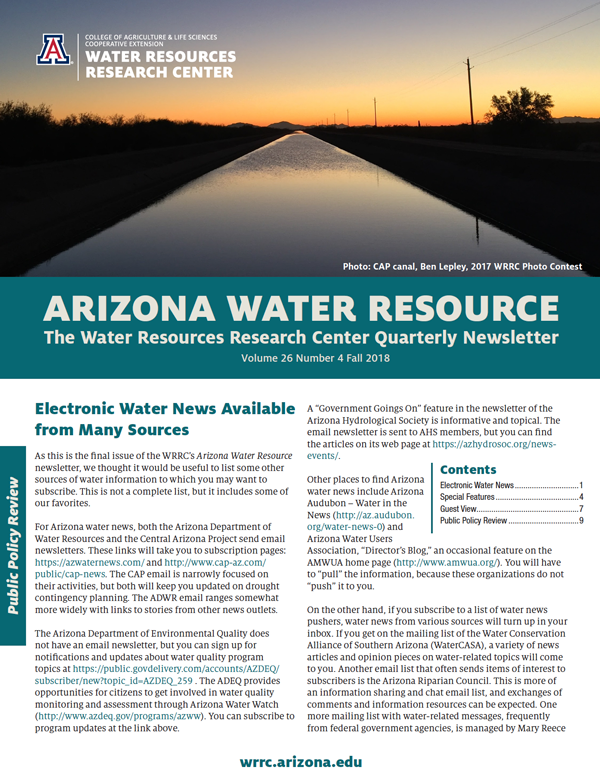 Prior to creation of AWR, from 1976 to 1987, the WRRC published a similarly named newsletter, Arizona Water Resources News Bulletin, and back issues of this publication are also available here.